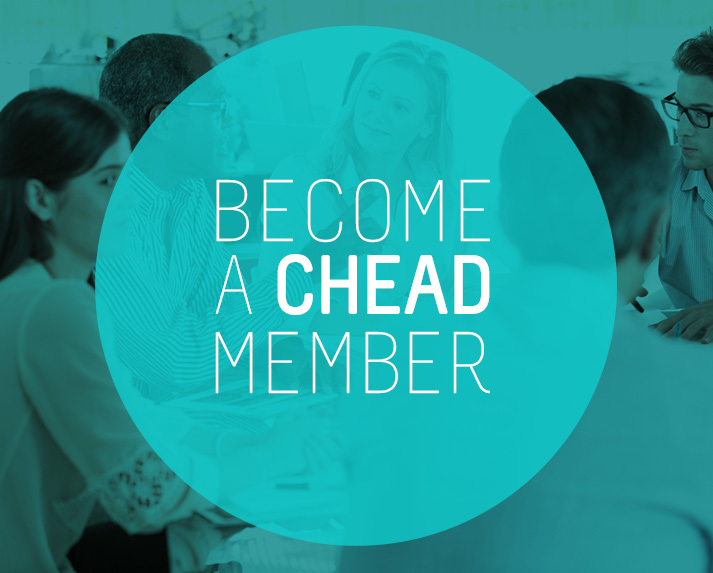 CHEAD provides leadership and an inclusive, cohesive body for and on behalf of HE A&D in the UK four nations, advancing knowledge and understanding in the sector and promoting the sector’s interests to others. Our members include all types of higher education institutions (small-specialist, Russell Group, post-92 university, public as well as privately funded, etc). CHEAD shares with its members the objective of enhancing the student experience of HE in Art and Design, and respects the independent and diverse approaches adopted by members in this regard. Correspondingly, CHEAD representatives, in carrying out the business of the organisation, place the wider interests of the sector first. CHEAD focuses on art and design subjects; these subjects relate closely to other subjects – for example: media, performing arts, architecture, and art and design history – CHEAD welcomes interaction with and between these subjects. • Network: at our regular meetings and events with peers from across the UK. • Take up a free space at the CHEAD Annual Conference, held in 2018 in Cardiff on 14th – 15th March (excluding accommodation) this year focusing on creative ecologies and sustainable industries. • Receive regular policy updates in a fast-changing policy landscape. • Support a voice for the sector: CHEAD has a strong track record in nominating members to participate on curriculum review panels, and to represent the sector at key debates and events. • Support your staff: our Leadership Development Programme provides leadership seminars run by peers for aspiring academic leaders. • Join our specialist networks: CHEAD supports a Research Alliance, a Gallery Network and a Links Subject Association Network.